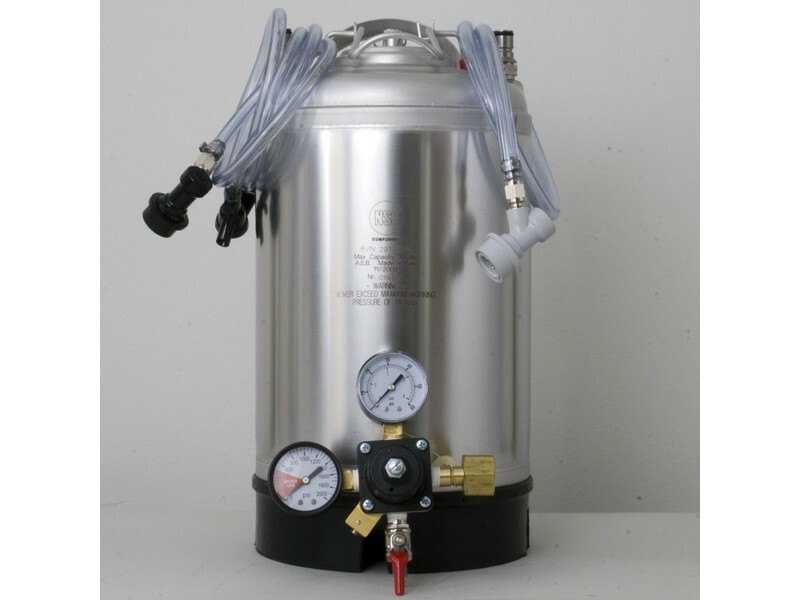 Same as our Draft Brewer Single Keg System (K503), but with a new 3 gallon keg instead of a 5 gallon. The smaller size is easier to transport and takes up less fridge space, but won't hold an entire batch. Perfect for smaller kegerators and mini-fridges.Best of all, it takes just a swish of sanitizer to prep your keg for the next batch.No more cleaning and capping dozens of bottles.Includes everything except a CO2 tank to share and enjoy draft homebrew.